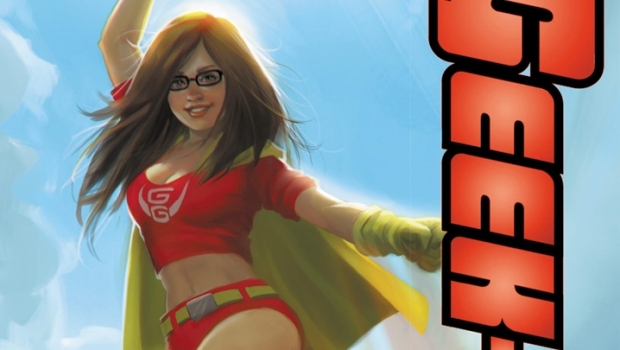 Geek-Girl gets collected and the Nerd-becomes-cool-Superhero trope gets flipped on its head! Created and written by Sam Johnson (The Almighties, Cabra Cini) and illustrated by Carlos Granda (Grimm Fairy Tales, Charmed), in Geek-Girl vol.1: Lightning Strikes! 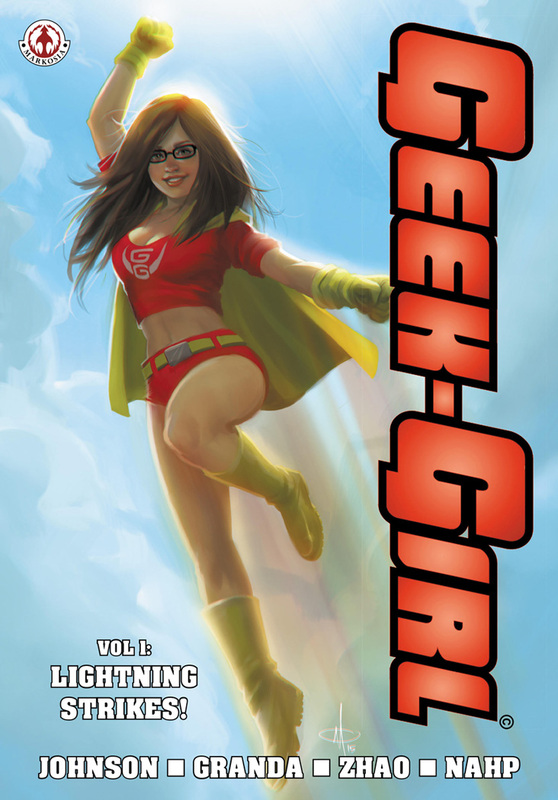 (collecting the first 4-issue Geek-Girl Mini-Series) we meet attractive, popular Maine college coed Ruby Kaye. Ruby is a girl used to getting anything she wants; and when she overhears Trevor Goldstein, the resident college brainiac, talking about super-tech glasses he’s invented, she decides she wants them! 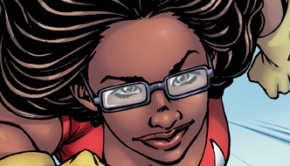 “When we’re introduced to Ruby, she’s wearing the specs and is flying around in a super-hero costume, looking for crime, chatting to her BFF Summer on her cellphone, questioning if she’s ‘doing it right’; because she’s been at this a couple nights now and nothing’s happening,” says creator/writer Johnson. “But then something does happen. Right in front of Ruby, Neon Girl – Maine’s resident big-shot Super-Heroine – is blasted through a billboard by a mysterious new villain. “Neon Girl is hospitalized by this extremely powerful, enigmatic woman, Lightning Storm, who seems to have come from nowhere,” says Johnson, “and a scared Ruby reveals how she got the glasses on a whim, how it was her friend Summer who made her a costume and came up with a superhero name for her – and how she doesn’t really know what she’s doing,” Johnson continues. 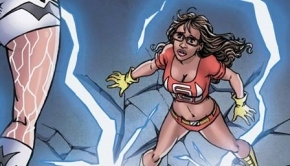 “But this isn’t a point of view the no-nonsense Neon Girl has any time for; her attitude is that ‘Geek-Girl’ has super powers and sure dresses like a superheroine, so she needs to step up and stop Lightning Storm!” says Johnson. 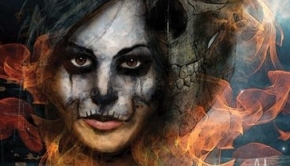 “Amazingly good debut with a new character that totally fits into today’s younger generation of doing before thinking.” -Steven Leitman, Reading With a Flight Ring.